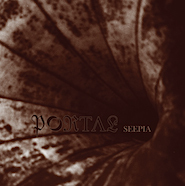 A vision of utter horror, 'Seepia' is perhaps one of the most unique and intimidating albums ever conceived. Categories: DISTRIBUTION, DISTRO STORE, Vinyl_Corner, VINYL-Distribution, VINYL-RECORDS. Tags: Avantgarde, Death Metal, Hells Headbangers ‎. Depraved, artsy and morally-impaired, through a twisted mindfuck of oppressive histrionics and the class of classic avant-garde cinema, Portal portrays theatrical musical dementia through a death metal lens.